1137 Yates TriLock® ANSI Harness Carabiner Super ligh..
1137 Yates TriLock® ANSI Harness Carabiner Super lightweight aluminum forged carabiner certified ..
DMMVT DMM Vault Tool Holder DMM Vault Tool Holder that..
DMMVT DMM Vault Tool Holder DMM Vault Tool Holder that fits 390 Harness, 387 and 380 Harnesses. ..
ISC D5Y Descender In stock now. 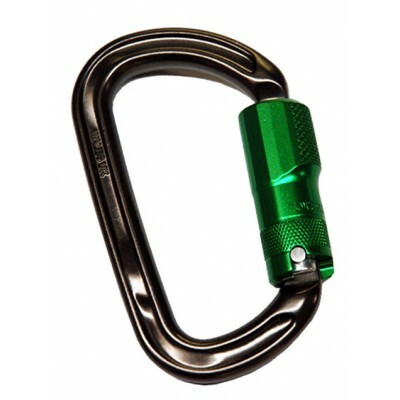 The new D5Y was exclusively ..
1025 ISC Figure 9 Anti-Twist Rescue Descender New styl..
1025 ISC Figure 9 Anti-Twist Rescue Descender New style Figure 9 descender with attachment eye se..
1146 Steel D 3 Stage Autolock (ISC Wizard) NFPA G Rated ..
1146 Steel D 3 Stage Autolock (ISC Wizard) NFPA G Rated ISC Wizard supersafe carabiner. Super str..
1137 Yates TriLock® ANSI Harness Carabiner BLCK Super..
1137 Yates TriLock® ANSI Harness Carabiner BLCK Super lightweight aluminum forged carabiner certi..